Thank you, Alienda, and I had a blast riding “shotgun” with you!! I got up early this morning, planning on going for a walk. That was not the case, for as soon as I stepped outside onto the deck, a blast of muggy warmth told me today would not be a good day to do 3, 4 or even 5 miles…I thought about it for a few, then decided against it, in favor of working on Sharon’s Rose Parade Doily. I am near completion, and since her surgery was moved forward, I felt an urgency to get it finished. I put on a pot of water for my morning tea, and took my crochet basket out to the patio table and began laying out the doily and 16 rose motifs that were to be attached. Taking my time, I began attaching the first rose motif. It went on without a problem, and so I moved onto the next motif, following E. Hiddleson’s directions very carefully; second flower attached, I noticed a twist in the linked chains. DRAT! RIPPIT and started over. A second attempt came out the same as the first-RIPPIT again and started over. I went in and got a cup of tea, then came back out with a renewed confidence that I would get it right this time. But, after attaching 3 more rose motifs, I realized why I kept getting a twist in my chains. RIPPIT and started over, totally frustrated by this time. Now I had to get it right or the whole thing, ball and all, was going to go flying off into the woods for the squirrels to play with. I began attaching the rose motifs, this time from behind the motif. Perfecto!! Finally, 2 hours later, I had at least got 4 of the roses on the outer edge attached without twisting. Now, I could put the doily aside and get ready for work. 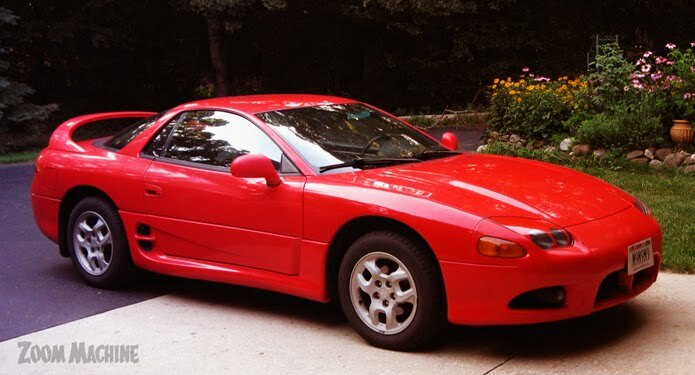 DH spent the better part of the day waxing his sister’s Mitsubishi 3000GT, which is one of his favorite pastimes. After I got caught up on the day’s orders, I went outside to see what, if anything, needed to be done. The car was cleaned up and all that was needed was to vacuum it out and that’s where I came in. After we got the car all clean and shiny, we took it to for a ride out to Palmyra to ﻿﻿Rushing Waters Fisheries, to pick up some fresh fish for dinner. DH cooked the salmon with a little olive oil in the skillet, got a nice caramelize going, then served it with Bookbinders cocktail sauce, yummm- YUM! I made a Greek Cucumber salad with yogurt, sliced cucumbers, minced garlic and a pinch of salt; it went along perfect with the fish. Later, after dinner, we decided to go for a ride to the gas station to replace the 1/4 tank we used tooling around the countryside…Mike handed me the keys and said, “Let’s go!” GASP! 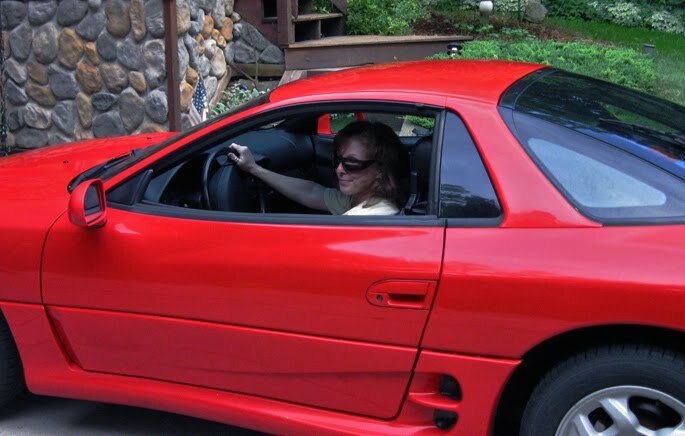 I hadn’t drove a stick in over 25 years!! I started out a little slow, but by the time we got out on the road, it wasn’t that difficult. We drove around a few back roads, then came up to the gas station, where lo and behold, our next door neighbors were parked at the same pump. When they saw us pull up, they were like, “When did you get THAT?? ?” Then DD19 showed up, and we had to laugh at us all having a “neighborhood meetin’” at the gas station LOL! 120 pounds of pure evil!